FRAMINGHAM – Established in 1956, Marian High School will close at the end of this school year. The private, Roman Catholic high school is located in Framingham on Union Avenue. The grades 9-12 high school has been run independently of the Diocese since 2004. Graduates from Marian High School include Christa Corrigan McAuliffe in 1966 and former NFL player Peter Cronan. 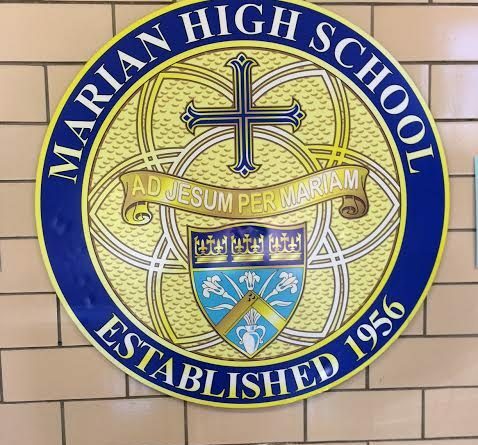 The Board of Trustees voted unanimously that Marian High will complete its mission and cease operations at the end of the current academic year in June 2018, wrote the Chair of the Trustees and its President John Ermilio. Since 2004, the Board and the administration at Marian have sought to meet the challenges confronting the school in the areas of enrollment and balanced budgets, while maintaining an enriching and sustainable academic environment. We have sought to build a stronger foundation, through partnerships with Regis College, increased efforts in fundraising, marketing, and enrollment, wrote Ermilio and chair of the Trustees Elizabeth Dill in a letter to parents. Despite the efforts, enrollment at Marian High has decreased in the past few years from 304 students in 2012 to 221 this academic year, said Ermilio. The incoming freshman class for the 2018-19 year stands at just 16 students, he said. The projected enrollment for the 2018-19 school year was at 185 students. “As enrollment has declined, the demand for financial aid has increased significantly,” wrote Dill and Ermilio.